At Paddi Graphics we have been lucky enough to work on packaging for some of the biggest brands in business. We have always been proud of our innovative solutions to packaging and have been called upon as a problem solving team on many occasions where far bigger organisations have struggled to find cost effective solutions. Our ‘Bottle Barrel’ design for Grant’s Whiskey proved immensely popular throughout Europe and our cardboard mechanics for the project ticked all the right boxes for their packing and shipping requirements. 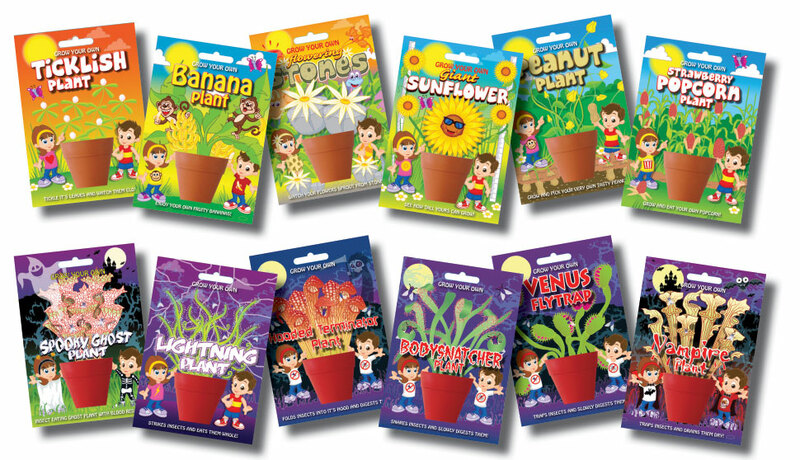 We have also recently designed a complete range of packaging solutions for our client ‘Fun Seeds’ which will soon be appearing in shops and garden centres throughout the country. We also produce one off cardboard mock-ups so if you need to see how the job looks before you commit to a large and expensive print run, just give us a call. 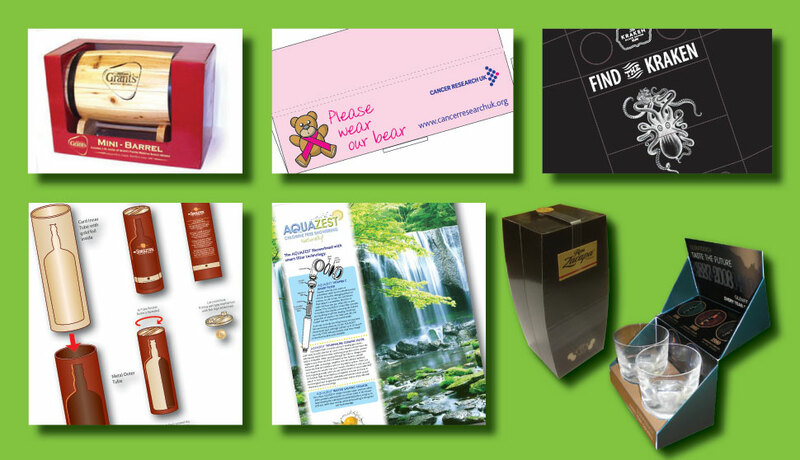 Many of our clients have the final jobs printed and assembled in the far east so if you have a factory blank that you want branded, we can do that too – and supply final artwork in a format that we know will work across any production platform.